Looking for a nice, stylish smartwatch? If so, you may want to have a look at the ASUS ZenWatch 3, which we called "the best Android Wear device you can get" in our review. 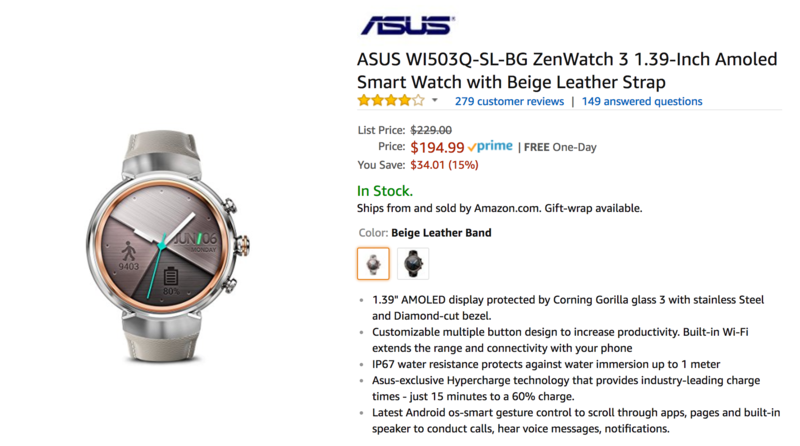 Amazon will now sell you a ZW3 for as little as $194.99, which is the lowest price we've ever seen there.